Expression and communication before having students practice writing skills. 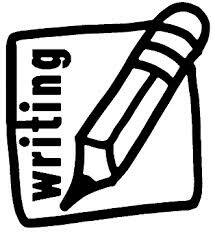 The function of writing can be exemplified as narrating, describing, reporting, and so on. The teacher’s mission is certainly beyond that, however. Teachers should also explore students’ motivation for writing, which, according to Kellogg, includes achievement motivation, intrinsic motivation, and extrinsic motivation. This will help the teacher design meaningful and purposeful writing tasks in accordance with students’ motivation. For example, if students need to write research papers, reports, abstracts, memos, professional letters, project analyses, and proposals in English, the writing tasks should be closely related to such task types, thus making students realize the meaningful purposes of their writing. Whom the Bank Grant Credit, Is the Borrower Creditworthy? Who or what is a Leasing Company? What is Letter of Credit?